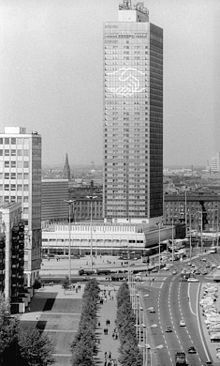 My last full day away took me on a circular tour west of Alexanderplatz in old and new East Berlin. First up, a touristy breakfast of croissant and sour cherry jam in the sun at a cafe’ in Hackescher Markt, then a trawl through the artisan shops (albeit touristy ones, now) in the courtyards of Hackescher Hofe. This was certainly a different “East” to the one walked through yesterday – with chain stores in abundance – but off the main drags there was still history and absence. From here I wiggled my way along the atmospheric streets of Sophienstrasse, with its craft workshops and gallery/performance spaces, and Gr. 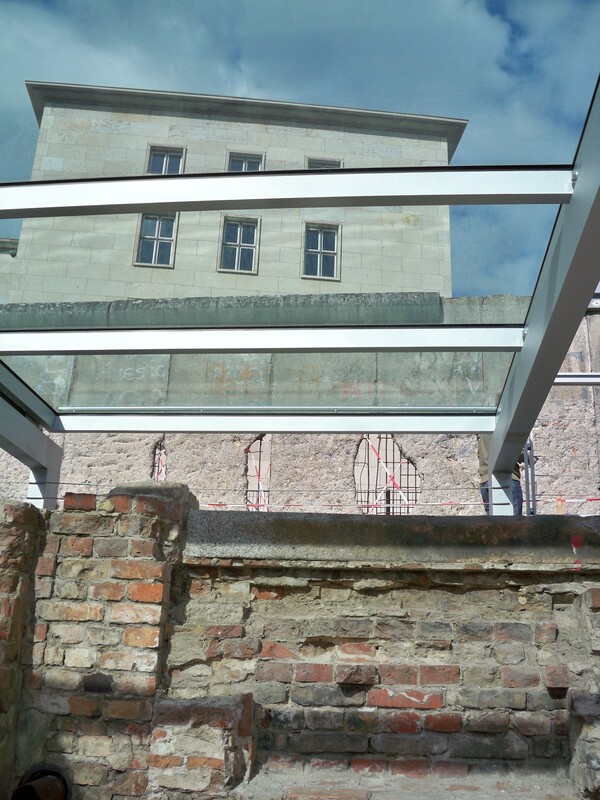 Hamburgerstrasse, where the remains of Berlin’s oldest Jewish cemetery also mark a deportation site to Auschwitz and Theresienstadt, beside a modern Jewish school, heavily policed. Another found “absent place” is the Missing House, an installation by Christian Boltanski. You can just see plaques on the white wall where a house used to be – the plaques show the names of former Jewish residents, their births, deaths, and locations of their apartments within the missing building. It is all the more poignant for being a bit hidden itself – you have to know it is there to know what it is. 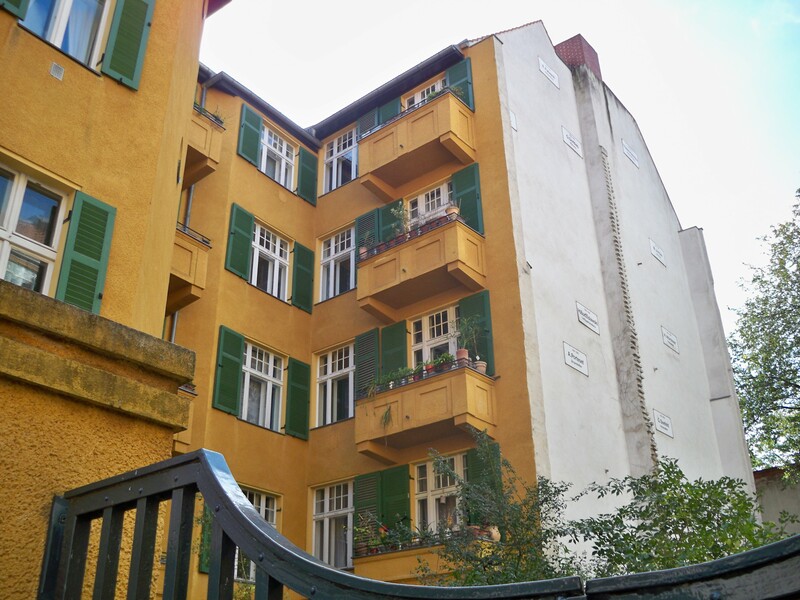 I then took a lovely sideways stroll along quiet Linienstrasse to Scheunenviertel and Rosa-Luxemburg-Platz. A pleasant emmentaler toastie was had in yet more sun beside the majestic Volksbuhne, East Berlin’s epic theatre of the people. (And from here on, it also turned into a bit of an unplanned theatre crawl.) 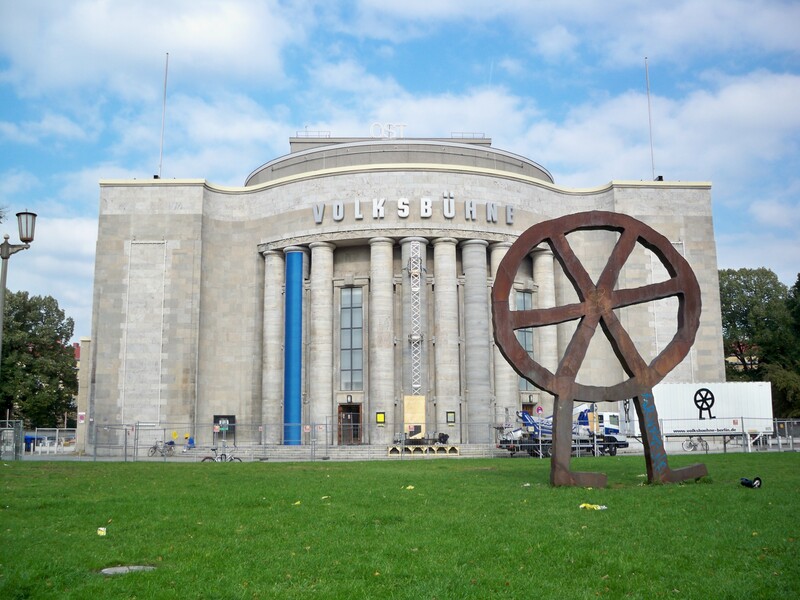 I first saw the Volksbuhne at the LIFT festival in London many years ago, and have remembered how well the company balanced the fine detail of individual work with a stylized and unified vision. Sadly, I picked Monday night to decide I wanted to go to the theatre and the only show on offer was a new book launch. Next trip, I will pay more attention to the calendar. A quick jaunt up Schonhauser Allee leads to Prenzlauer Berg, “East Berlin’s most beautiful borough”, says Time Out, quite contentiously. I can vouch for a bounty of cake shops, second-hand clothes shops (selling the wrong size boots, may I add) and a remarkable number of women wheeling copious children on handlebars and in baskets of treacherous bicycles. But then, Prenzlauer Berg is the district with the highest concentration of babies in Berlin, also sayeth Time Out. Maybe it’s the cake. Whatever, it certainly is a lovely, pleasant, easy-going, family-oriented neighbourhood, one that anyone could imagine slipping right into. At this point, however, I was only thinking of Brecht. If you’re like me, you have a love/hate kind of relationship with Brecht. I just didn’t get him at university. 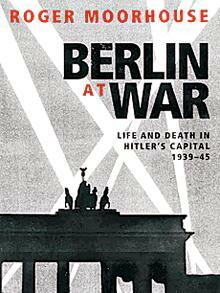 I thought he was pompous, over-worked, and, alarmingly, I thought that his leaving Berlin made him a coward. I didn’t understand WWII or Berlin at 18, I admit it. I thought it was his duty as a playwright to stay and work, and that leaving to “save his skin” compromised his work. Now that I am older and my own work is that much more important to me, I do wonder what I would have done in his place. Would I also have left to have the freedom to write? That is the luxury of viewing your life and priorities through someone else’s war, but as a playwright, I cannot help but be influenced by Brecht and German theatre in general. I am now a huge Brecht fan and just missed a new version of Mother Courage. Bah. I had to settle for a slim play about “how the Threepenny Opera came together”, for 2 actors + piano + violin. This was staged in the foyer, more marbled and chandeliered than I can imagine Brecht being entirely comfortable with. That is a terrible picture, it must be said. But it’s the only one I took. 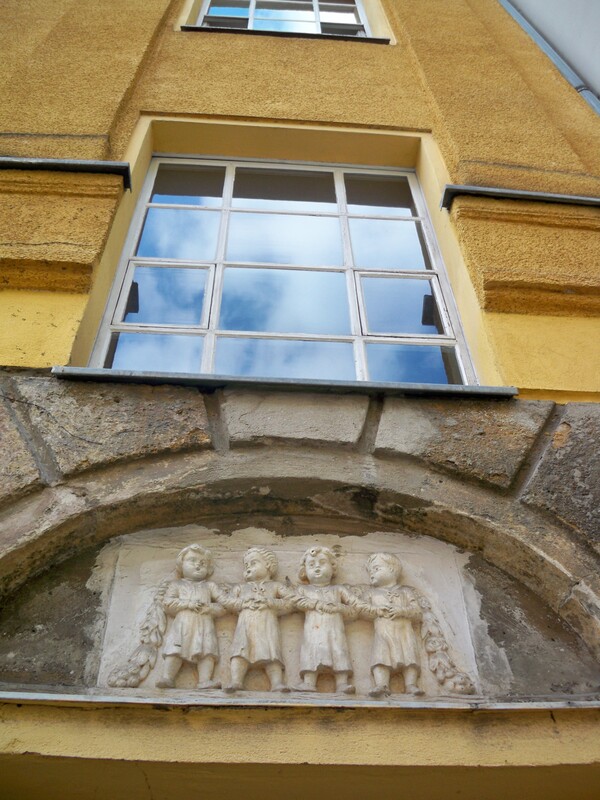 Friends, today I went in search of Weimar. I was on the hunt for decadence, depravity and degenerate art in Berlin. And where better than Charlottenberg and Tiergarten, Berlin’s pre-Nazi playgrounds? It started off very badly with a whiz round a fantastic community market and the beautifully restored Catholic St. Matthaiskirche in Schoneberg. Badly, in that there was very little decadence to be found round Winterfeldplatz – only handmade woolen goods, the world’s most beautiful cheeses, happy families and a man pressing fresh seed oils. I hunted and pecked to find a link to the church, so that you could see some of the 45 subtle, exquisite stained glass windows – solid blocks of colour, expressionistic forms. No dice. On the way to the market I did pass by Christopher Isherwood’s old digs on Nollendorfstrasse – that must be good for half a point in decadence bingo – as well as the new dance hall, Goya, that was once a haunt of Hitler’s, to watch UFA star Zara Leander, and the home of experimental epic theatre director Erwin Piscator, The Piscator-Buhne, during Weimar. Am I getting warmer? The search began in earnest, moving swiftly toward Charlottenberg, home of Zoo Station, the Erotik-Museum (which I did not visit), and KaDeWe, the second largest department store in Europe, after Harrods. A Jewish-owned business, KaDeWe suffered under Hitler’s race laws and the store became “Aryanized” then bombed and ruined. It was completely rebuilt just in time for the Wall to go up. With a history like that, you think I’d like it, you’d think I’d root for its prosperity. But I found it a place of incredible decadence. Maybe it’s because I had a hole in my trousers, but it was the least friendliest place I’ve visited. Women stopped short of grabbing top-Euro leather boots out of one another’s clutches, but only just. I was lucky to get through the WC queue and get out alive. I haven’t seen such a collection of solely expensive goods for a long time; it goes without saying that there were beggars outside, red-faced men opening breakfast beers, Roma women flapping their accordions while their men looked on. It seems mean of me to point it out, but there it is – decadent spending back then, decadent spending now. Next stop, and first art museum of the day, was the wonderful Kathe Kollwitz Museum. 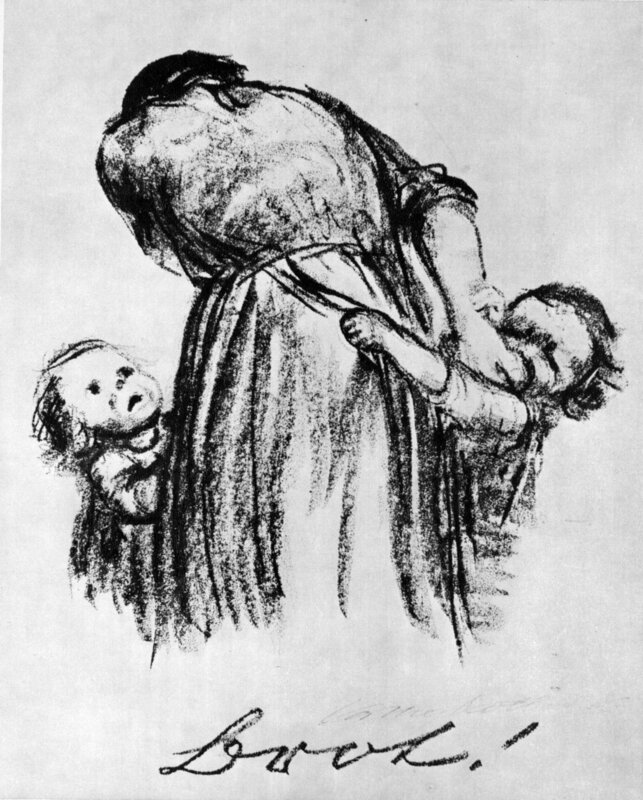 Kollwitz is known for her “War Series” of drawings, “The Weavers”, and her anti-war propaganda pieces such as “Brot!” I have long been a fan of her work, and it was marvelous to see the original pencil and ink drawings that I have only seen as jpegs, as well as some of her woodcuts. 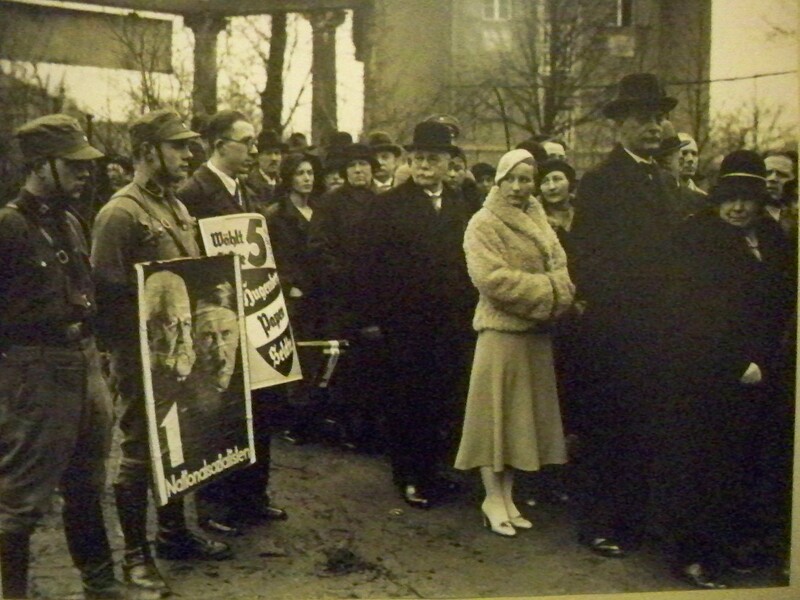 As the wife of a doctor who tended the poor of Berlin, Kollwitz was best placed to see how the government was failing its people in the period between the wars. She found the means to say something meaningful and accessible at the same time. Unsurprisingly, her work was banned by the Nazis from their first “art purges” in 1933; they threatened her with deportation to a concentration camp in 1936. She was not deported, in fact – her international standing kept her safe – but she died just before the end of the war at 77. Her work is the most moral “degenerate art” I have ever seen. Next stop on the decadence trail led to Tiergarten’s Bauhaus Archiv. Alongside expressionist painters and creators of the avant-garde, Bauhaus designers and designs were banned by the Nazis. Work was scattered across the globe until the creation of the Berlin Archive in 1960. 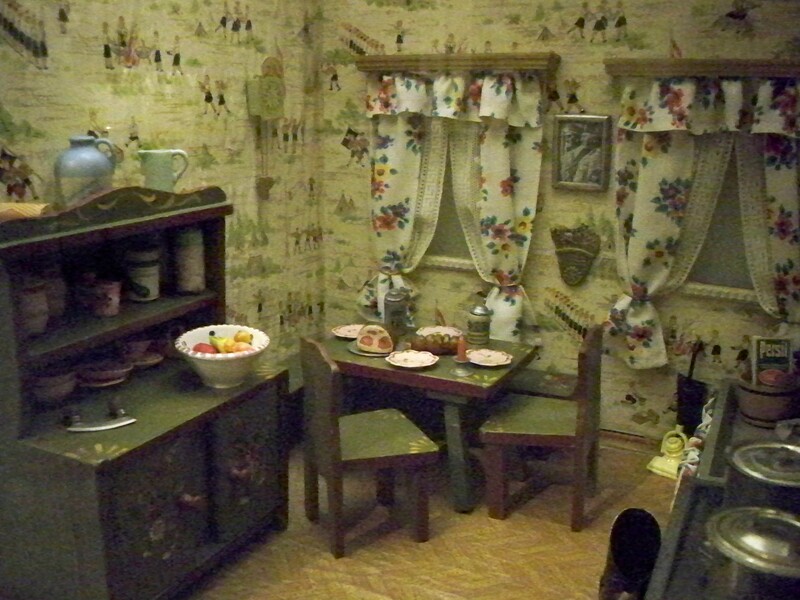 It is, as you would expect, a clean, white place: well-proportioned, everything just so. And still the moratorium on big bags. I don’t know. I wanted to feel for the plight of the Bauhaus designers, but I suppose they’ve had the last laugh in the end. The world has fallen in love with their furniture. We’ve all gone mesh and tubular. Even the Nazis were inspired by their proportions. In a contentious posting on Haaretz.com there is a claim that a Bauhaus designer became similarly inspired by the Nazis. Depraved, indeed! Even I could not escape the insidious lure of its design. Reader, I left with my big bag bulging. And so, on to the day’s third museum, Neue Nationalgalerie, home to more of my favourite “degenerate artists”, particularly Otto Dix and Hannah Hoch, as well as a few I didn’t know. You can also watch a wonderful film celebrating the full-speed-ahead techno-culture of Berlin circa 1927, “Berlin, Symphony of a Great City” by Walter Ruttmann. 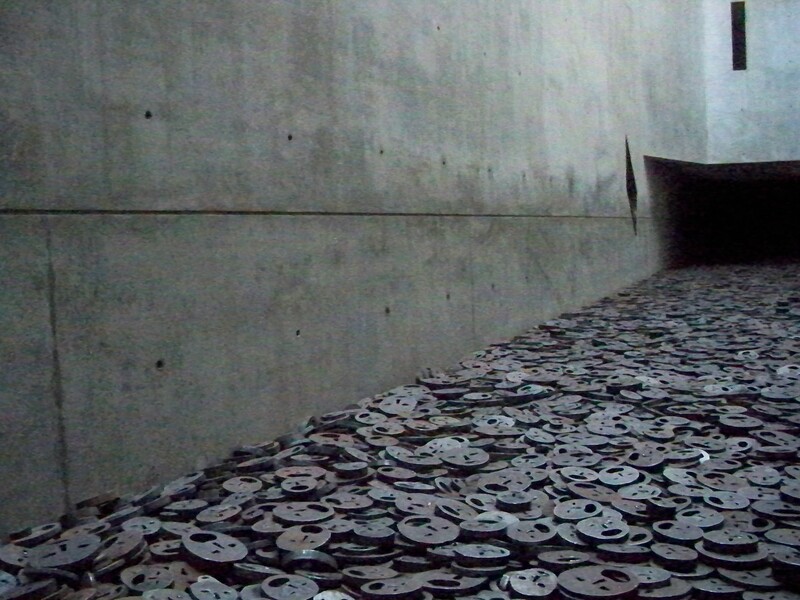 They dance and type and eat, not knowing the end is just around the corner… This might not sound near-degenerate-enough for you, but to read there the lists of the works destroyed by the Nazis is chilling. It is, of course, not as bad as destroying people. But it is very, very bad to destroy things simply because you do not like them or do not understand them. By now, the dark is coming. I am on Potsdamer Strasse on a Saturday night and the world is my oyster. Did I run for the nearest fetish bar? I did not. (Please, my mother’s reading this blog!) Instead I hied me to The Wintergarden, Berlin’s home for variety entertainment since 1888. This may not be the Tingle Tangle Club, but that doesn’t exist anymore and any re-creations will be filled with tourists like me looking vainly for authenticity. Nein, it will not do. 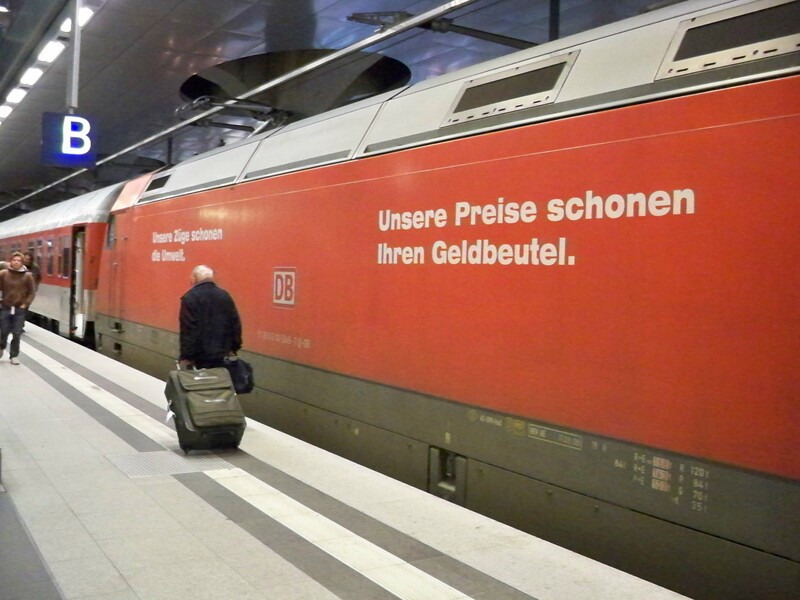 I decided to see what Germans were seeing – what brought them out for a Saturday night in a tourist-free place. 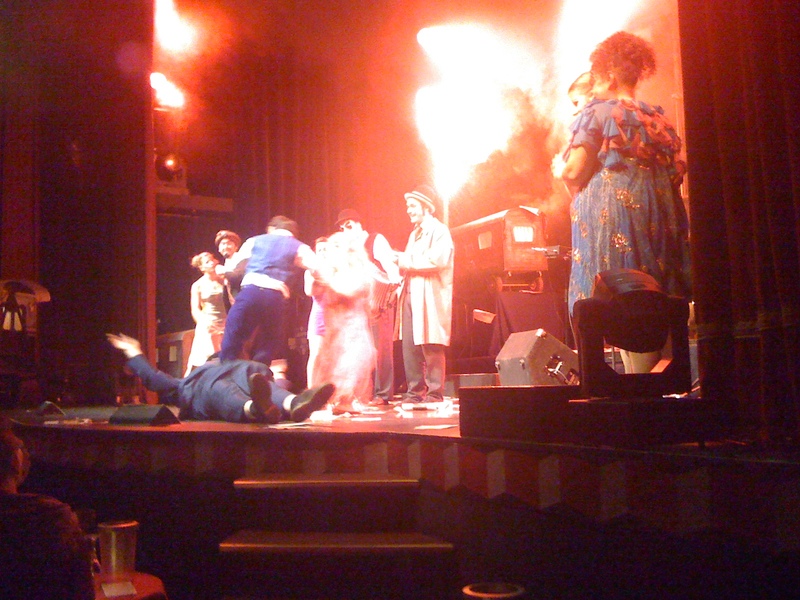 I found it was The Tiger Lillies, “the world’s foremost Death Oompah band, and their Freak Show. I myself could never resist the promise of a freak. 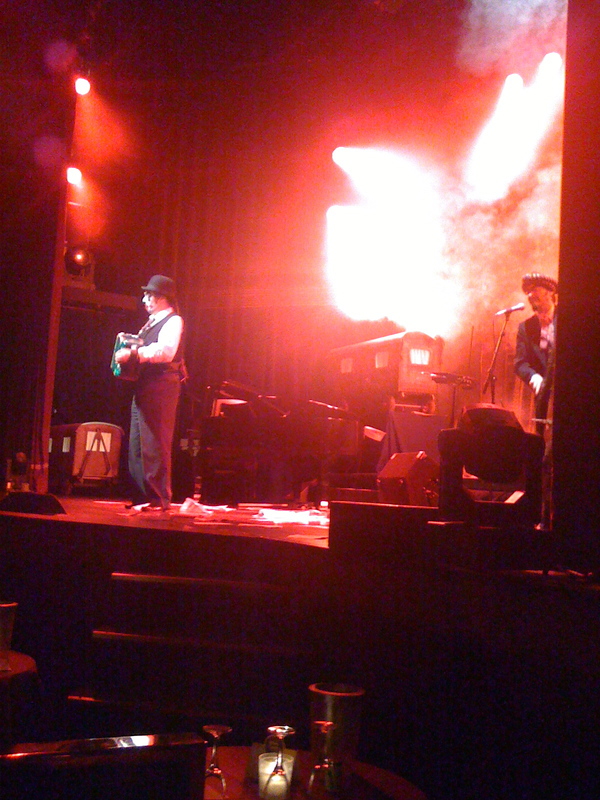 The last time I saw The Tiger Lillies they were doing Shockheaded Peter in London. That was a long time ago, but I remember the show so well. I have already forgotten much of Freak Show. Never mind. But it did make me think that I haven’t shared my favourite book purchase of the trip so far. Here, in homage to The Tiger Lillies, it’s Shockheaded Hitler. 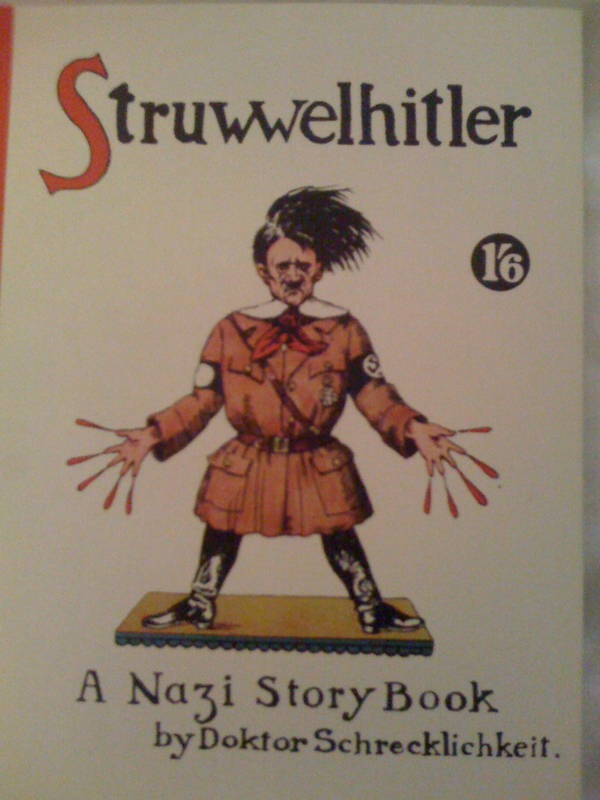 And if you can find a better rhyme for old Adolf than that, I’ll read you another story from the wonderful Struwwelhitler. Good night. 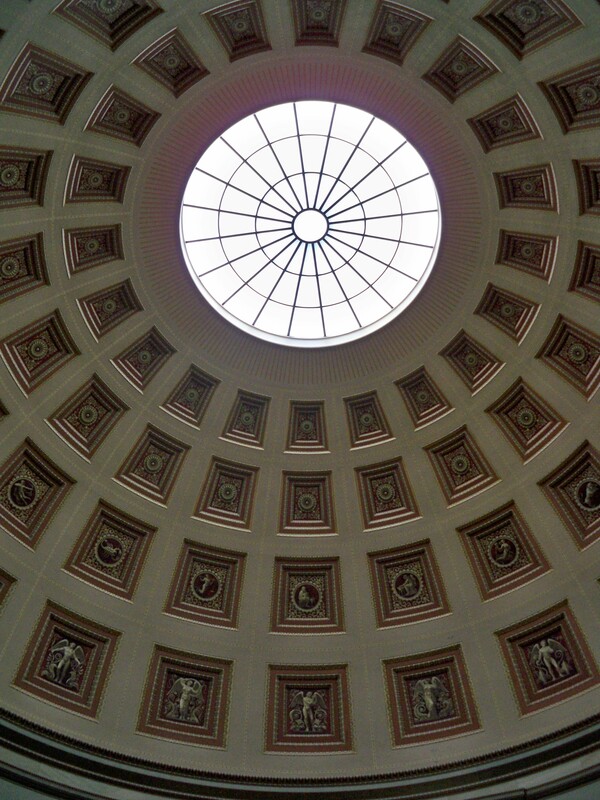 The Wiener Library is a truly wonderful resource, even if it is in hiding. I have used the reading room before, and still I could not find it. Google Maps had me blocks away, the glowing blue dot saying “You are here,” when you can see, very clearly, that you are not. Or can you? The library can be found by disregarding the numbering of buildings, mounting stairs to peer at discreet gold plaques, then squinting at the call buttons on the entry phone. 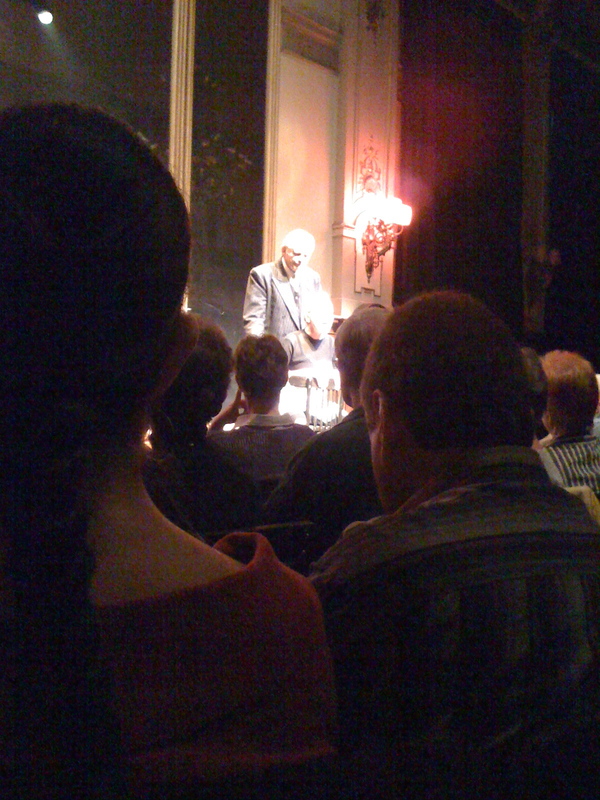 It is hidden in plain sight – a useful metaphor for the nature of historian and author Roger Moorhouse’s talk: Eye of the Storm – Jews Underground in Hitler’s Berlin, 2 September 2010. He starts by giving us Berliners’ name for Jews who chose to hide “in plain sight” in Berlin through the war. Known as die Taucher, the divers, they were also referred to as U-Boats. 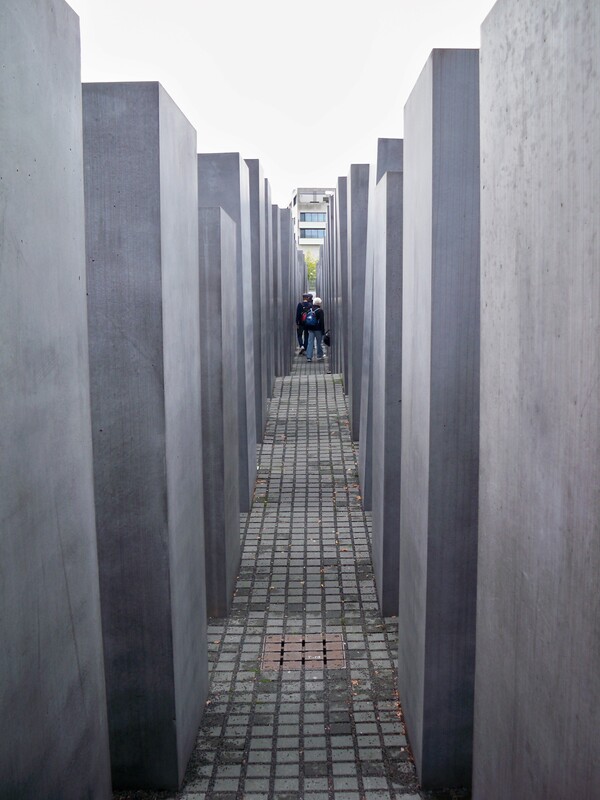 11,000 Jews went underground in Berlin during the war years of 1939 – 1945. 1400 survived the war. There are no maths or statistics to explain odds which meant fewer than 10% would survive capture, hunger, illness or bombs. Perhaps 50% died due to “betrayal.” But Moorhouse did suggest some methods to increase the odds. 3. Learn to live on the run. Be prepared to lie, cheap and steal. 4. Avoid your past. Forget your family, forget your friends. Avoid entire areas of the city, where you may be recognized. Forget you ever were a Jew. 5. Change your appearance. Commit visual sleights of hand if you “look Jewish” through hair dye, clothing, stolen uniforms. Do not allow yourself to appear unkempt, even if you have nowhere to live. Disarray, even in wartime, will attract attention in Berlin. 6. Find somewhere to live. 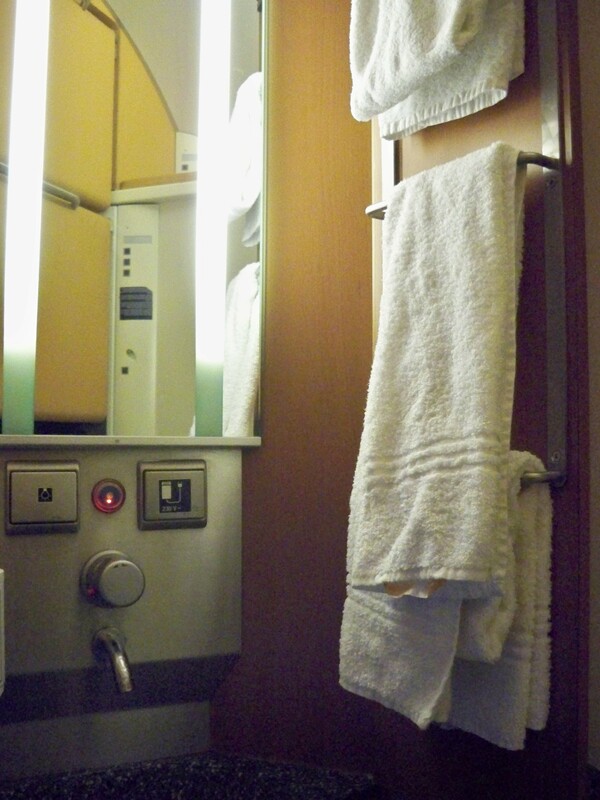 Available accommodation can include lofts, basements, trams, parks, houseboats, bordellos. Find someone who will hide you for money, or for love. 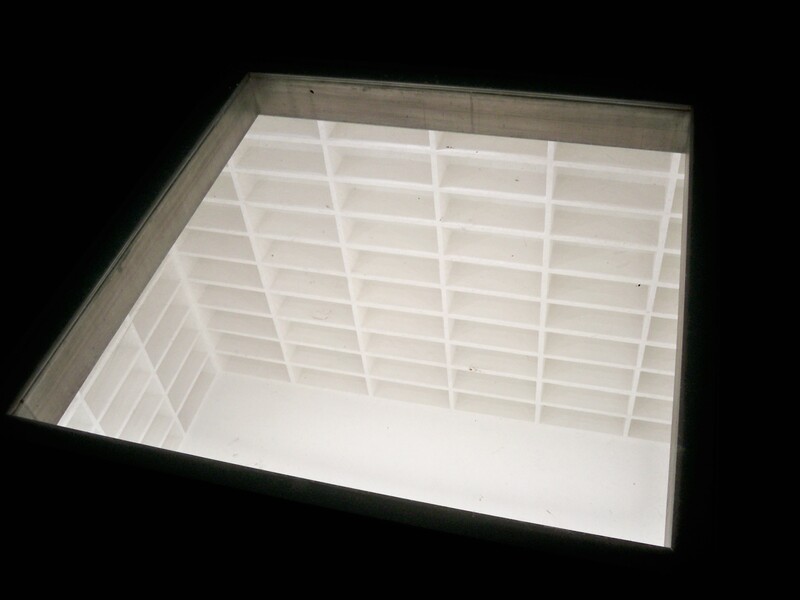 Be open: the tomb of Josef Schwarz in the Jewish Cemetary in Weissensee, which remained open throughout the war, provides a hiding place to sleep in the dome of its mausoleum. 8. You are nothing without paperwork. Whatever you do, find the right paperwork with the right stamps. Hope for a sympathizer to drop them before you, present yourself as a victim of bombing to receive a “bomb certificate as refugee”. Search fresh corpses in air raids. 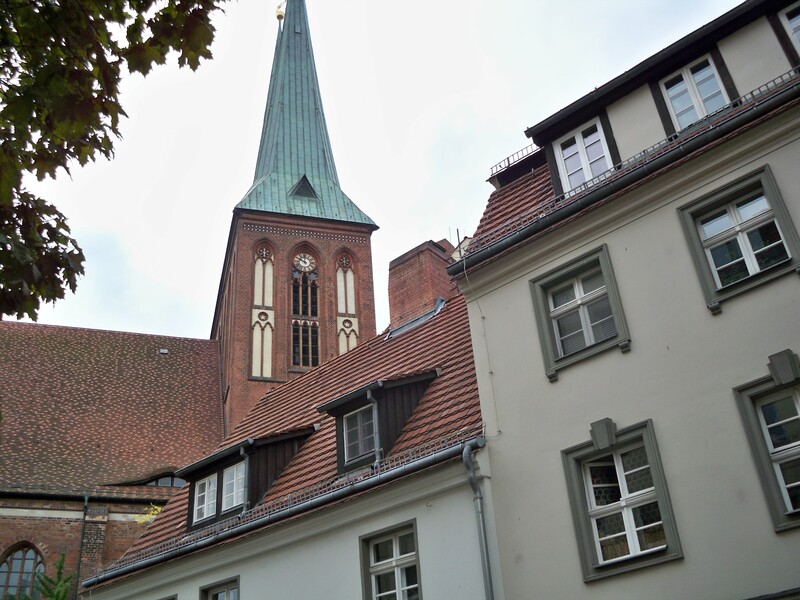 Moorhouse pointed out that the decision to go on the run was contrary to a Berliner’s way of life, a culture which prided itself on belief in the law and civic duty. That was often the reason given for the “betrayals” that would find Aryan Berliners hiding, and then denouncing, local Jews. Another risk were die Greifer, “the catchers”, particularly the “Aryan-look Jew” Stella Kubler, known as “the blonde poison”, who betrayed others to keep herself and her parents from deportation. But Berlin was also a particularly good city in which to go underground. 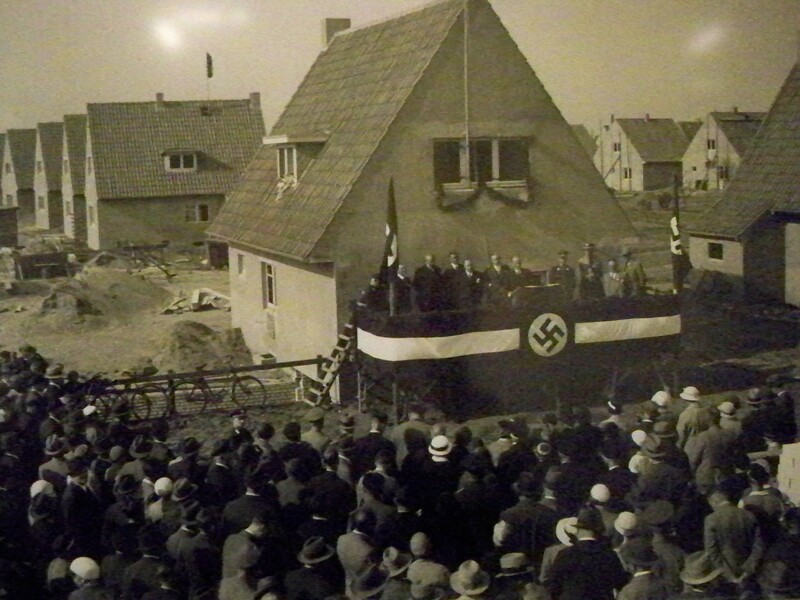 There was a strong and proud Jewish tradition and Berlin had never naturally been Nazi. Both the church and the communists provided havens and networks. There was a lively question and answer session to follow, and a number of attendees who wanted to tell their own stories of hiding and escape. I felt very young in the room, and I felt every inch a shiksa. 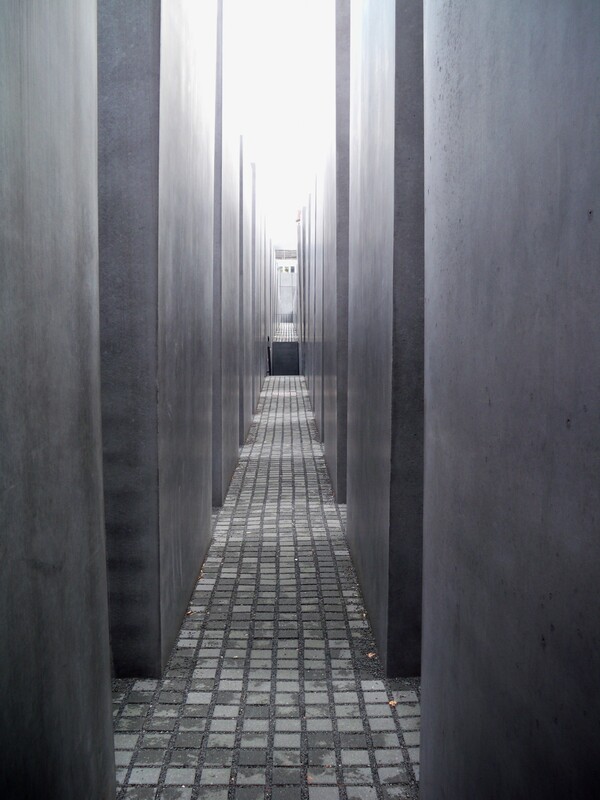 While Moorhouse spoke of the “imagination gap” between what Berliners and Jews felt was happening to deportees and what they would know following 1945, I am trying to fill my own “ignorance gaps” with all that I do not know as well as remember the imagination and information gaps that my characters would surely have. When dealing with WWII it is nigh impossible not to reference the end. There are things that you see that you cannot unsee, even as there are things that you learn that no one could know, let alone fathom, in 1933, 1939, or 1943. I almost went to Berlin. Nearly. 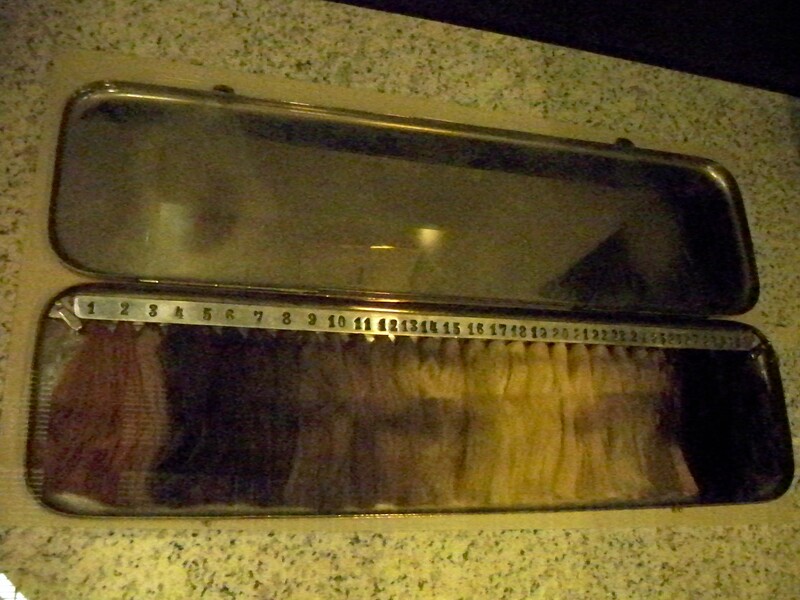 I was so close I could taste it, and for a vegetarian that’s a big admission. But I was scuppered by life and schedules and all those things that serve to scupper. Had I gone to Berlin, I would have gone to Berghain, a Berlin nightclub in what was once a power plant, behind a rail station on the border between Kreuzbert and Friedrichshain – its name a blend of the last syllable of each. 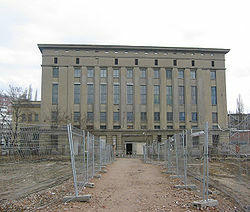 Berghain professes to be the current world capital of Techno music. Its Panorama bar features not a panorama of anything, but instead panorama-sized saucy photos by Wolfgang Tillmans. But I was not Berlin-bound for its Techno, fine though it may be. Berghain is being developed as a concert hall and it is dabbling in opera. My sister-in-law was in one such opera there, and it would have been a treat to mooch along and see it. But no dice. It was recorded and will soon be a DVD, so that I can see her in a blue rubber prom dress and Rapunzel hair. 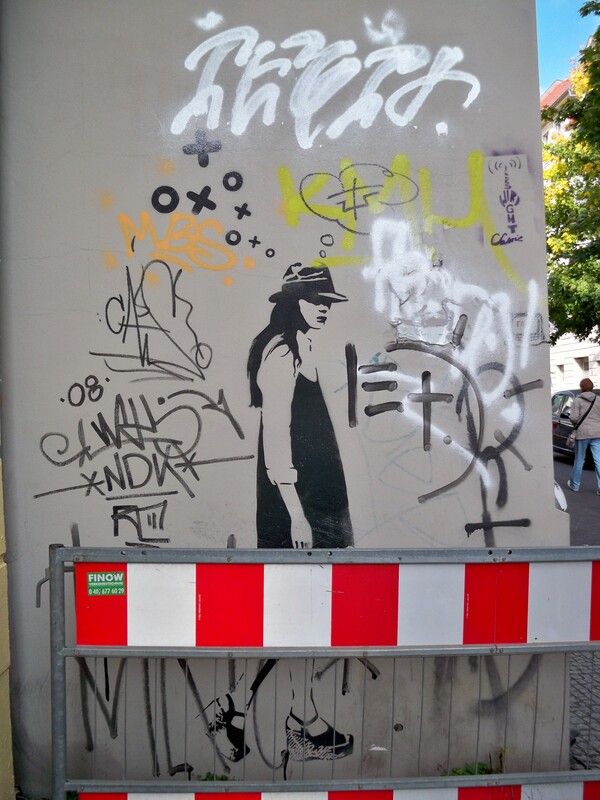 Writing about Berlin is a bit like chasing a ghost. A ghost that has been in an awful lot of popular culture. Each piece about Berlin feels like a checklist. Nazis, check. Boot girls, check. Unter den Linden, check. Decadence, debauchery, check and check. 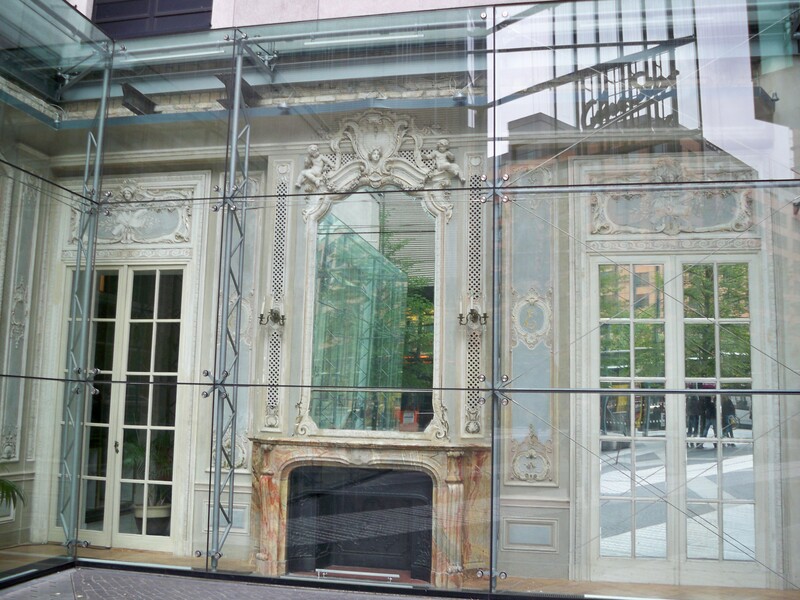 Do modern spaces capture this spirit of “old Berlin” better than the kinds of sites and books that offer up maps of ghost buildings? 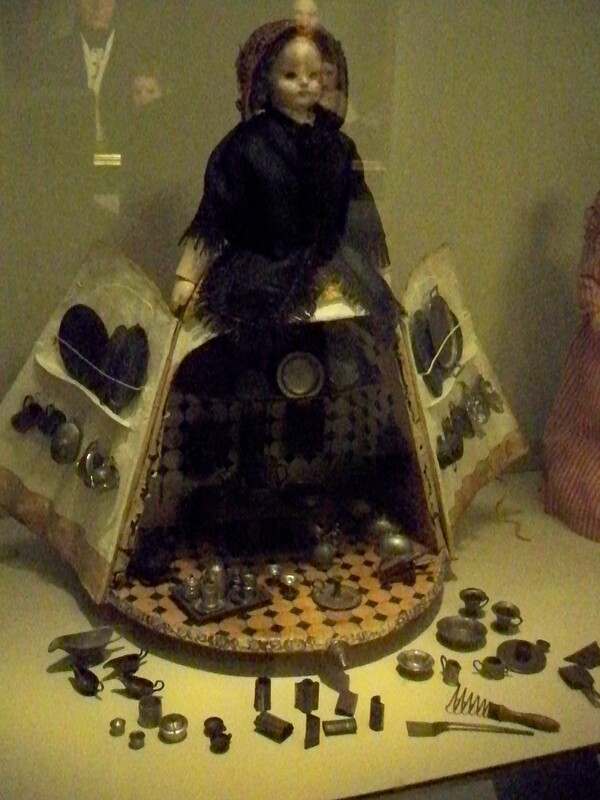 And if I go there – no, when I go there – will I be able to find any ghosts of my own?